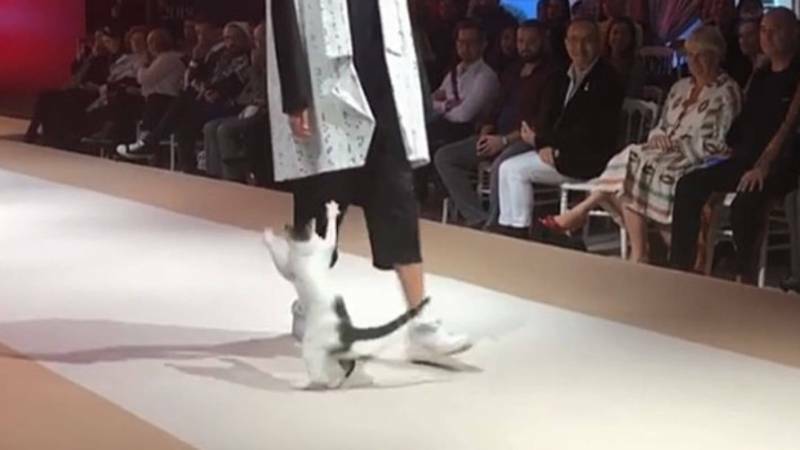 Esmod International Fashion Show witnessed a literal ‘Cat-walk’ during its recent show in Istanbul. 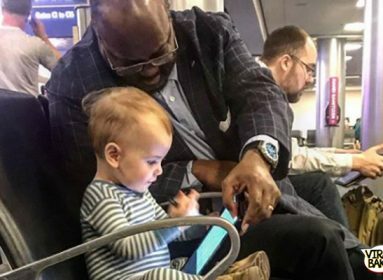 And it was every bit adorable as well as hilarious. It all took place when the models were busy walking on the ramp, showcasing the chic couture. But, a cat apparently felt that the models weren’t following the exact cat-walk as they should and chose to put on a show by herself. So, what did the cat do? The white cat immediately jumped to their rescue and somehow made its way on the ramp. She began with a casual chilling session and laid down on the floor where she started cleaning herself. No one knows what was exactly going on in the cute feline’s head. Soon she started playing around the models and trying to catch their legs while they walked past her. The models too seemed to have a good time walking on the ramp with thid playful cat. However, the adorable feline had a plan of her own it seems. After a couple of models crossed her, she took the stand and walked with perfect poise and grace on the ramp, as if teaching the rest of models how to cat-walk. Nevertheless, the guests had a hell lot of fun. 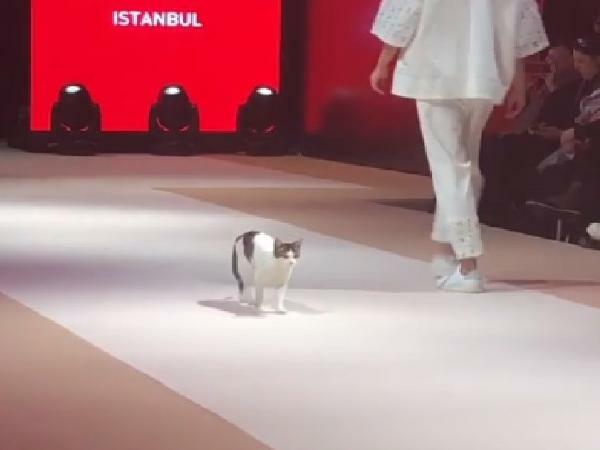 After all, it was the first time in history that people witnessed ‘a cat’ actually ‘cat-walking’ on a fashion show ramp. And I am sure the guests never thought that this is what they would get to see in the Esmod International Fashion Show. But, I bet they were as happy as I am, after watching what happened. Because who doesn’t love cats and their funny actions, right?